We're available every day by appointment. If there's a particular day or time you'd like to visit, please contact us. We offer a free tasting of our latest wine to all of our visitors (18 and over). We also have a variety of guest wines from other local vineyards. We occasionally have these available for tastings too. We invite you to try our wine, or buy our wines to drink here with us or take away with you. No bookings required, so stop by soon. 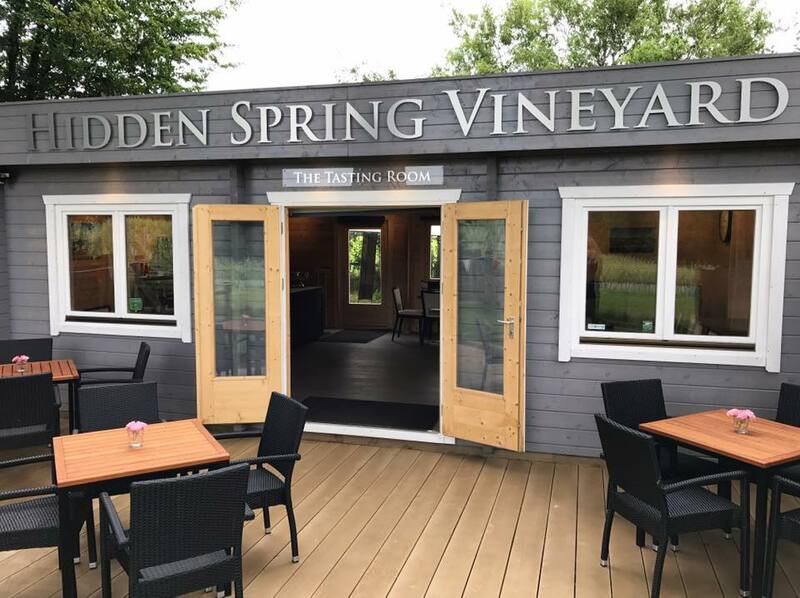 If you're interested in a more comprehensive tour of the vineyard, the winery and to try a range of wines, we offer a two tour-and-tasting experiences led by the owners. The Tasting Room is available to hire for business meetings, recitals, talks and other events. We can provide AV equipment, catering and other facilities. Please contact us for more information. If you'd like a more hands-on experience and would like to try grape picking in the autumn, please let us know.